Fitness fanatics! 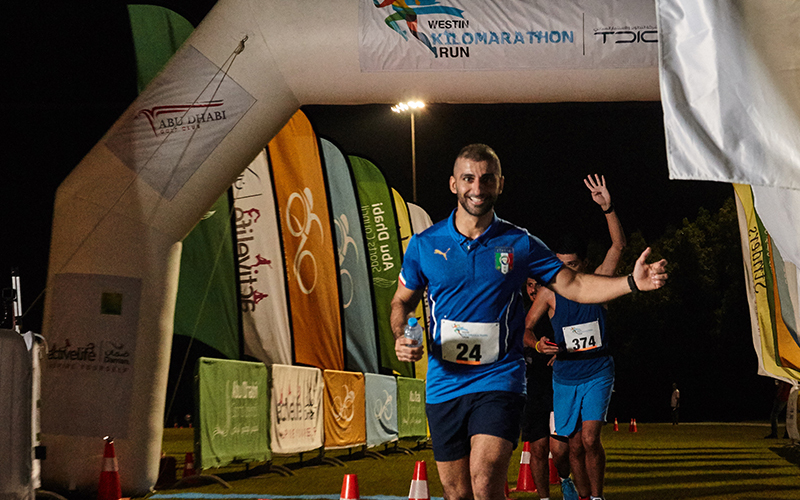 The annual charity evening run, Kilomarathon, will take place this Thursday (26th October) at The Westin Abu Dhabi Golf Resort & Spa, so grab your running shoes and get involved in this popular run for a fantastic cause. Celebrating its sixth anniversary this year, the charity run is set to be held under the lights of one of the world’s most iconic golf courses – The Abu Dhabi Golf Club. All proceeds from the Kilomarathon directly benefit the Al Jalila Foundation’s paediatric programme called Farah, which means ‘joy’ in Arabic. Farah provides medical care for children in the UAE, who suffer from heart disease, cancer, and other chronic diseases. Farah also invests in local medical research of childhood illnesses to discover better treatment options. “The annual event promotes an active healthy lifestyle and engages the community to support vital treatment for children in the UAE. The ‘Road To Awareness’ CSR program continues to demonstrate Marriott’s dedication to be a champion for children who need it most,” said Sulaiman Baharoun, Director of Partnerships & Sustainability, Al Jalila Foundation. The Kilomarathon is open to young and old, amateur and professional, and there are several distances to choose from. Runners can enter the full Kilomarathon (26.2km), which is run over 6 laps of a looped course, and cuts through the Abu Dhabi Golf Course grass fairways, cart paths and sand mounds. There are also two shorter distances to choose from: The Half Kilo (13.1km) which is run over 3 laps of the above course, and then the Children’s Lap, which is a 1km run around the driving range. Registration will open at 5:30pm, and races begin at 7:30pm, with festivities planned. Visitors and runners will enjoy a wide range of food and beverage stalls, including SuperfoodRx and Westin Fresh by The Juicery. A dedicated kid’s entertainment zone will host fun activities oriented as well to wellbeing. Heavenly Spa by Westin therapists will also be on hand for runners and visitors to enjoy relaxing treatments.